Tui Na is the Chinese Medical Massage, meaning "push" and "hold". The practitioner uses massage and manipulation (acupressure) to stimulate acupuncture points with the goal of releasing energy blockages and returning the body to balance. It is used for both acute and chronic musculoskeletal conditions and promotes stress-relief. Myofascial Release treats the thin, web-like system of connective tissue that surrounds the muscles in the entire body. This therapy is used to release muscular shortness and tightness. Specific muscle groups below the superficial muscle layer are targeted through the use of muscle stripping and trigger point therapy with the purpose of releasing local restrictions. This type of massage promotes general relaxation by relieving stress and tension through the use of long, gliding strokes, kneading, and muscle stretching. Various lotions or oils are applied to the skin to facilitate the massage process. A good starter massage. Fully clothed, massage of head, neck, shoulders, back, arms and hands. No oils are used. Can be scheduled on-site for groups. 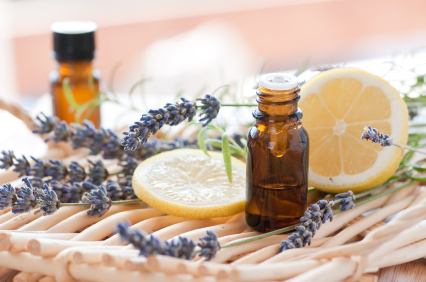 Complimentary essential oils may be used to enhance your relaxation. Essential oils and a warm, moist towel are placed on your back, giving you time to relax your mind and soothe your back, better preparing you for your massage.